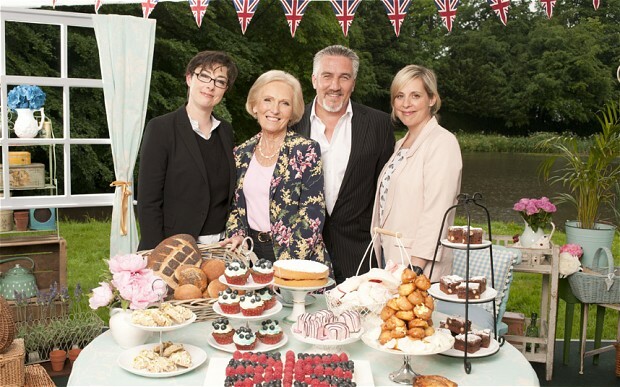 Today was the Great British Bake Off final and dear lord was it tense – I wrote a blog post back in August about how much I love Bake Off and how endearing I find it, but now that I’m attached to all the contestants, the final was far more dramatic. If you’ve not watched the final and wouldn’t like to know who won, there’s spoilers in this blog post. I so called it that Nadiya would win for the last few weeks and I was so proud of her! She had so little self believe and she was so good and creative and she deserved to win so much! I love Tamal and Ian was so cute with his family but Nadiya owned it – that pop can cake she made a few weeks ago stole the show and from then on we all knew how good she was. She was brilliant, I love Nadiya. But what made the whole night better was when I tweeted about #GBBOFinal, Tesco Food tweeted me back saying I should use one of their recipes. I replied saying I’m a student with no money and they replied saying they’d sent me a petit cadeau! I’m getting a little French present from Tescos! What an exciting way to end a pretty rubbish day! Also my friend Nikki is dying my hair tomorrow and I’m super excited – I’m going all blonde! Potentially going blue if I can brave it. Potentially. I’ve been talking about doing it for so long. Thank you for reading, I hope you enjoyed the Bake Off final!